This is a sweet, refreshing fruity salsa, perfect for summer entertaining. 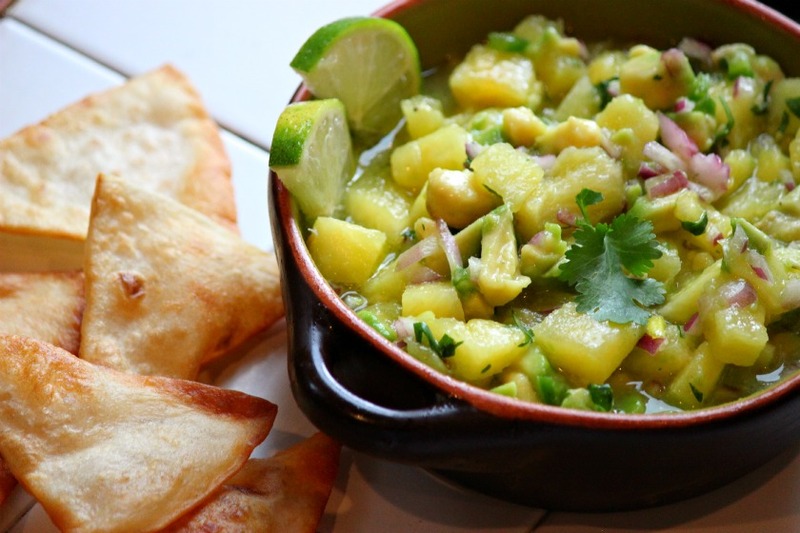 Pineapple balances perfectly with tart lime and creamy avocado. You can serve this as an appetizer with fresh tortilla or plantain chips, or part of a main meal over grilled chicken or shrimp. Heck, you could even add some tequila in place of the pineapple juice! In a medium bowl, mix pineapple, 3 Tbsp. pineapple juice, lime juice, honey, olive oil, jalapeno, and red onion. Add avocado and cilantro and gently mix to combine. Refrigerate 30 minutes to blend flavors. Serve with freshly fried tortilla chips.